At the Office of Andres de Cardenas we use state of the art equipment to catch cavities before it becomes a severe issue. However, in the cases where patients have waited too long and are in need of Tooth Cavity Treatment South Miami. Dr. de Cardenas has a solution. There are several forms in which we could treat cavities depending on the circumstances of the individual patient. The following are different types of treatments patients may undergo to treat a cavity. Crowns on Teeth, or simply dental crowns, are tooth-shaped coverings placed over the portion of a tooth that lies above the gum line in order to restore its function, strength and appearance. There are several types of crowns available in Dr. de Cardenas Miami office, we will work closely with you to determine which crown material is best suited to your individual situation and aesthetic goals. To save or repair a damaged tooth, some may need a root canal. A root canal is performed when nerve tissue in the tooth or the dental pulp (the soft area in the center of the tooth) is damaged. The damaged tissue or pulp allows for the build-up of bacteria that can cause an infection or an abscess. A root canal removes both the nerve tissue and pulp, and also cleans and seals the inside of the tooth. We understand that cavities can affect several parts of your life. Fortunately Dr. de Cardenas can help. Tooth-colored fillings are exactly that, fillings similar in color to the tooth in which it is set. Tooth-colored fillings are a mixture of tooth-colored plastic and glass—a composite. Fillings are the usual solution dentists use to treat cavities. Futhermore, for those teeth or tooth where it may be too late to save. One must opt for a dental extraction. 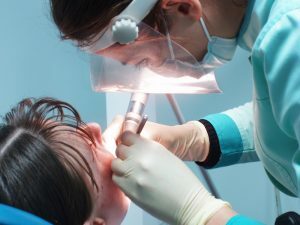 Extractions are the surgical removal of a tooth, or teeth, by an oral and maxillofacial surgeon or a dentist like Dr. de Cardenas. Extracting a tooth is generally a straight-forward procedure. You want your smile to be as healthy and as vibrant as you are and feel. You want to enjoy your favorite foods without worry or discomfort. Dr. Andres (Andy) de Cardenas invites you to come in and learn more about our Tooth Cavity Treatment South Miami. You can contact us using our convenient email form and we’ll get right back to you, or simply call us at (305) 251.3334. Visit Dr. de Cardenas and experience the difference between being treated as a patient, and being a treated as a part of the family.